Retrocomputing is a really rewarding hobby, and working with vintage computers is a great way to learn about how computers work and their history without shelling out a lot of money. But, we have progressed a lot since the days of classic computers like the TRS-80, and that can cause headaches when you want to do something like get online. Now, thanks to Peter Cetinski’s trsnic, you can get your TRS-80 Model III or 4 connected. Before we go further, you should know that the trsnic is still very in development, and it isn’t a simple plug-and-play solution. There are other options on the market to add connectivity, but they tend to be either expensive or lack performance. This is a more capable and affordable option, but it will take some significant experience to use. 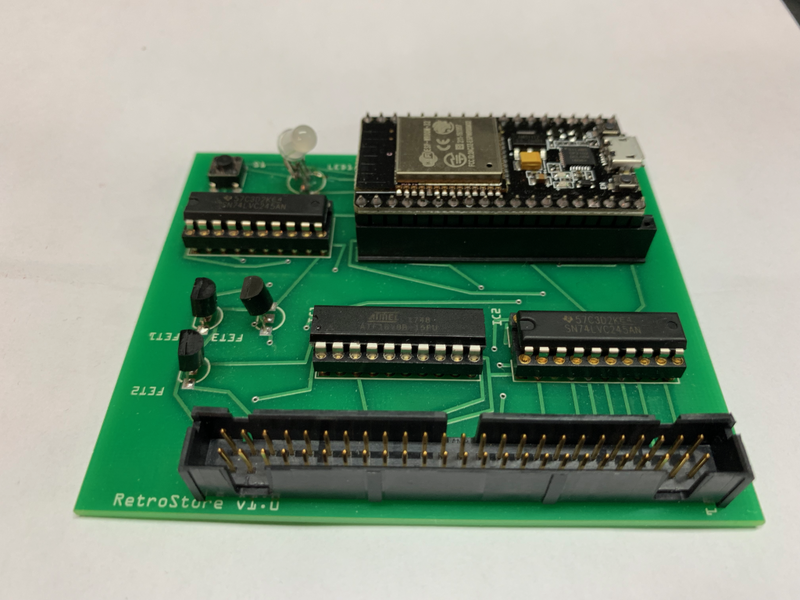 Cetinski built the trsnic around Arno Puder’s RetroStoreCard, which utilizes an ESP32 development board as a network intermediary. The trsnic code runs on the RetroStoreCard — for now — and works in the same way, with the ESP32 bringing TCP/IP to the TRS-80. That, in turn, opens up possibilities for HTTP and FTP network protocols that are necessary for modern internet-based connections. If you want a trsnic to use with your TRS-80, you’ll need to build it yourself for now. The files are all open source, so you can get a PCB made and assemble it yourself. Cetinski also plans to sell pre-assembled boards, and will continue development to make trsnic easier to use. trsnic Is an ESP32-Based Network Interface Card for Your TRS-80 was originally published in Hackster Blog on Medium, where people are continuing the conversation by highlighting and responding to this story.